Eleven years ago the FQS opened its virtual doors and has been providing quilters and crafters everywhere with wonderful fabrics, notions, books, kits and Blocks of the Month all wrapped up in an excellent service. 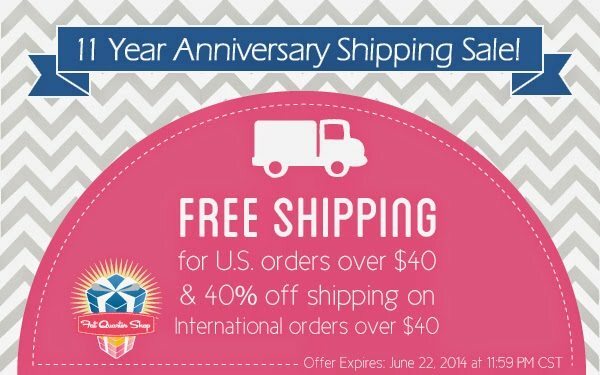 To celebrate, FQS are offering a great shipping deal, locally and internationally. Offer starts 16th June 2014 and ends midnight 22nd June 2014.